Ronald D. Siegel, Psy.D., is an Assistant Clinical Professor of Psychology at Harvard Medical School. He teaches internationally about mindfulness and psychotherapy and mind/body treatment and Author- ​The Mindfulness Solution: Everyday Practices for Everyday Problems. ​Ronald D. Siegel, PsyD, is Assistant Professor of Psychology, part time at Harvard Medical School, where he has taught for over 30 years. 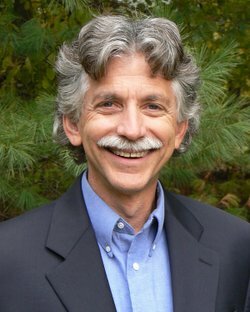 He is a long-time student of mindfulness meditation and serves on the board of directors and faculty of the Institute for Meditation and Psychotherapy. Dr. Siegel teaches internationally about mindfulness and psychotherapy and mind–body treatment, has worked for many years in community mental health with inner-city children and families, and maintains a private practice in Lincoln, Massachusetts. He is the coauthor of Back Sense: A Revolutionary Approach to Halting the Cycle of Chronic Back Pain, which integrates Western and Eastern approaches for treating chronic back pain, coeditor of the acclaimed books for professionals, Mindfulness and Psychotherapy and Wisdom and Compassion in Psychotherapy: Deepening Mindfulness in Clinical Practice, and coauthor of the new professional text, Sitting Together: Essential Skills for Mindfulness-based Psychotherapy. Dr. Siegel lives with his wife in Lincoln. He regularly uses the practices in this book to work with his own busy, unruly mind.